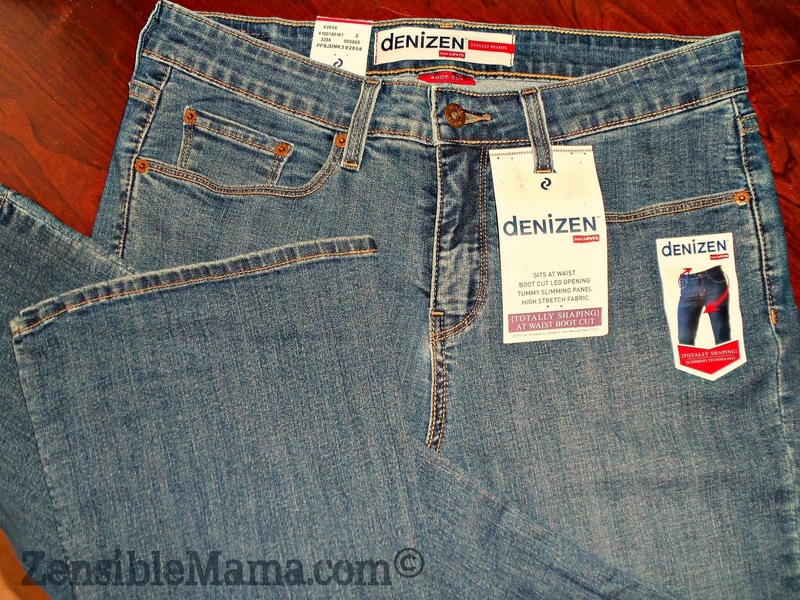 Zensible Mama: Denizen Jeans are Jeans with Zen! Denizen Jeans are Jeans with Zen! If I say I'm in an all-time high with Zen, these are moments like when I find my favorite store carrying an item or product/brand that I love and no one else does. Convenience and exclusivity all in one place definitely equals Zen! This is what Target have to offer with it's recent exclusive acquisition of the Denizen Jeans, a brand by Levis Strauss & Co. - A brand name I grew up with and well-loved in Asia! The jeans itself is a status symbol. Does Denizen jeans have what it takes to be the next big thing? I put the jeans to the test. I had the Totally Shaping At Waist Boot Cut - light wash to try out. Fit - It fits quite nicely. Doesn't give you that constricting feeling typical of most new jeans. This particular jeans fits comfortably. Elasticity - It's highly elastic which adds to it's comfort level and still gives you that slimming feature without feeling wrapped up like a tightly-wrapped burrito. Appearance - It's simple, straightforward design typical of a regular jeans. A little similar with Old Navy's trademark jeans. Though I would personally have preferred a more hip design for them considering its' special features. *To prove a point: This particular style is currently out of stock at Target online as I write this. Don't you think that's saying a lot about this style? 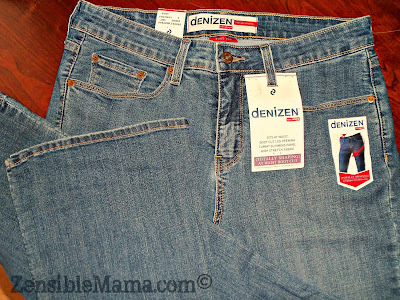 Denizen jeans may not be the next big thing right now but it sure have potentials! So, don't miss out! The pants retail for $24.99 - $27.99. 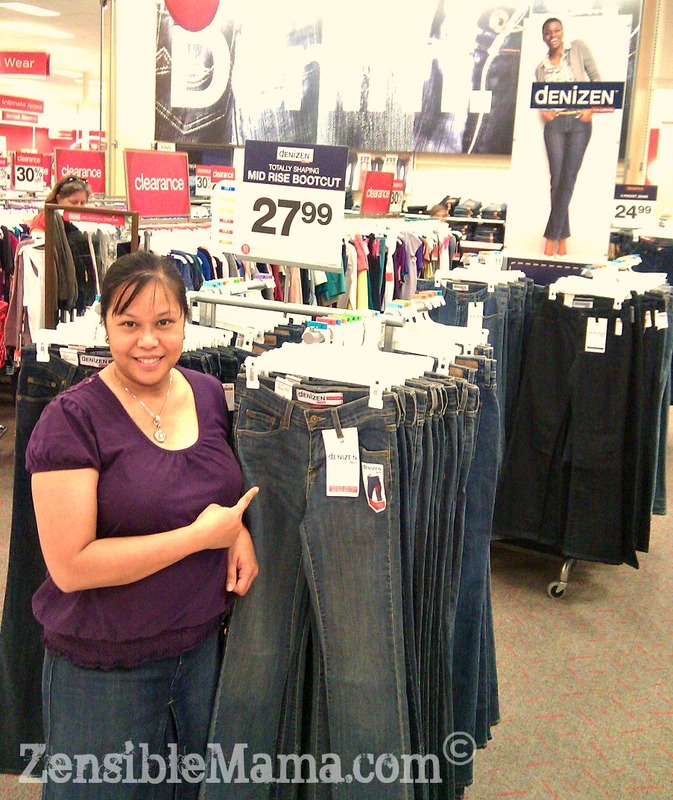 Go check them out at Target now and feel the Zen ONLY Denizen jeans can give! For more relevant stories and similar topics, check our REVIEWS section. I love the jeans, Maricris, but I really dig the cap you're wearing in the second photo. May I ask where you got it from? Hey I got a pair of those too. :)Liked 'em but yeah the front pockets are too small. Wow. They look good on you! And everything is SOLD OUT at Target. Seriously, their website should just have Out of Order written on it.